HBB Medical Rothesay is a premier medical marijuana dispensary in Canada that provides compassionate access to medical cannabis for patients in need. HBB Medical has been a leader in the medical cannabis industry, consistently delivering quality cannabis products and exciting innovations through their weed dispensary store and online dispensary. HBB Medical has a wide variety of products and services available to their members. They understand that many of their members suffer from disabling chronic conditions that may limit their mobility. For the convenience of their members, HBB Medical provides each of their members with the opportunity to purchase mail order marijuana online. The goal at HBB Medical is to provide education and empower their members to make informed decisions about how to consume medical cannabis, so that they can medicate safely and responsibly. 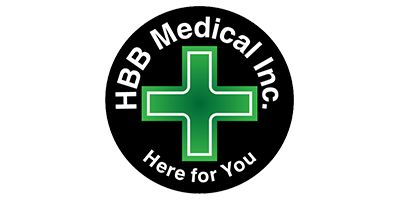 If you have any questions about the medical marijuana delivery service or would like advice about how to obtain a prescription from your physician, contact HBB Medical.